The device allows users to learn to read and write in Braille. Inspired by an aunt's suggestion, a Russian engineer invented a learning device that teaches the blind by converting electronic text into Braille. This digital tutor might soon reach the international market. A little over a year was needed to create the digital tutor, See All, which converts electronic information into Braille. The device consists of two modules. One is operated by the student, and the other by the teacher. It is equipped with a headset, plays audio files, and it also can transfer messages from the teacher to the student in conference mode. Russian engineer, Aidar Fakhrutdinov, got the idea for the tutoring device from his aunt Alfia Alieva, who is a visual impairment specialist. She believes that learning should be more convenient for the blind. The digital tutor was developed with support from Tyumen State University, and it was cast in a prototyping center at the Tyumen Science Park. “The device allows users to learn to read and write in Braille, and while it is impossible to fix a typo in Braille text on a sheet of paper, it is easy to do so in the electronic tutor," said Fakhrutdinov. The tutor is unique in that it combines the interactivity and the function of a book. 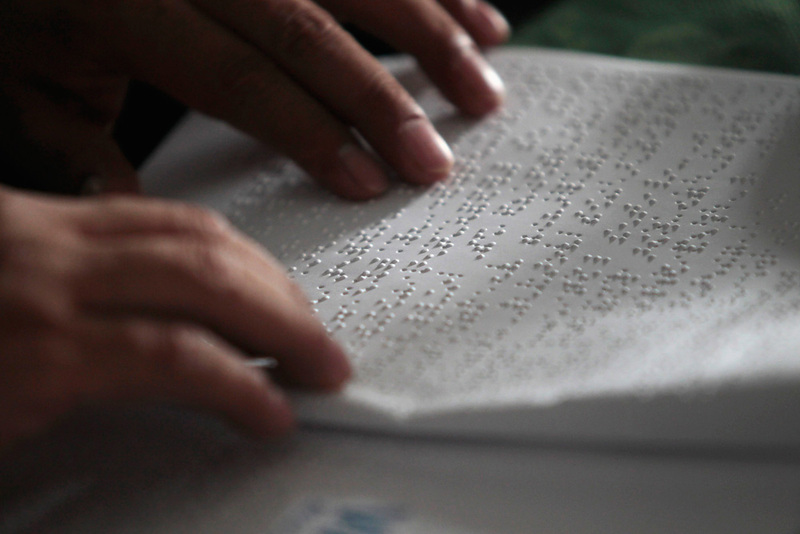 Up until now, blind students have used special displays, the Perkins Brailler, screen readers, organizers and creeping lines, which do not allow for interactive learning. These methods use communication gloves, which cannot serve as a book. "The new digital tutor can be used both for people who already read in Braille, and for people who are not familiar with it, such as those who recently lost their eyesight," said Ivan Onishchenko, editor-in-chief of Internet radio at the Russian National Society for the Blind. Like any other instrument, See All has limitations. The total volume of files that can be downloaded into the device must not exceed 32 gigabytes. Large texts should be split into parts in order not to exceed 999 lines, and the device is unable to read PDF files or see graphics, drawings and diagrams. According to Fakhrutdinov, it is possible to code them, but this will significantly increase the cost of the product, making it commercially non-viable. Currently, the two-module device costs about $5,900. Also, it does not provide access to the Internet. Developers say that web integration will be the next step to help train those who cannot attend classes.